Instagram is usually full of selfies, beaches, cats and pictures of what-people-ate-for-lunch. Oh yes, and celebrities: lots of photos of self-obsessed celebrities. So it was a surprise this week when the most-liked photo of all time on Instagram was not of a model, actor or TV personality. Instead, it was of an egg. That's right: an ordinary egg. 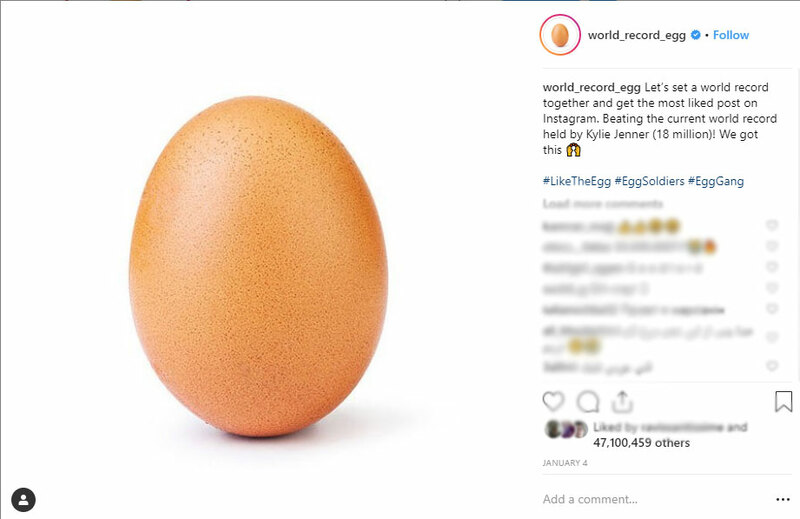 On 4 January, the account @world_record_egg posted a photograph of a brown egg saying they wanted it to break the record of the most likes on Instagram. The record holder at the beginning of January was Kylie Jenner with 18 million likes for the first photo of her baby. People on Instagram responded by liking the egg post. A lot. 18 million people had liked it by 13 January, breaking Kylie's record. As of today (17 January) the egg has 47 million likes! Well done, egg!? What do you think? Did you like the photo on Instagram? Do you feel sorry for Kylie? Tell us in the comments. 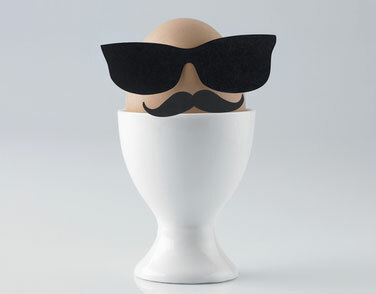 And have an egg-cellent day! This entry was posted in General, People, Technology. Bookmark the permalink.